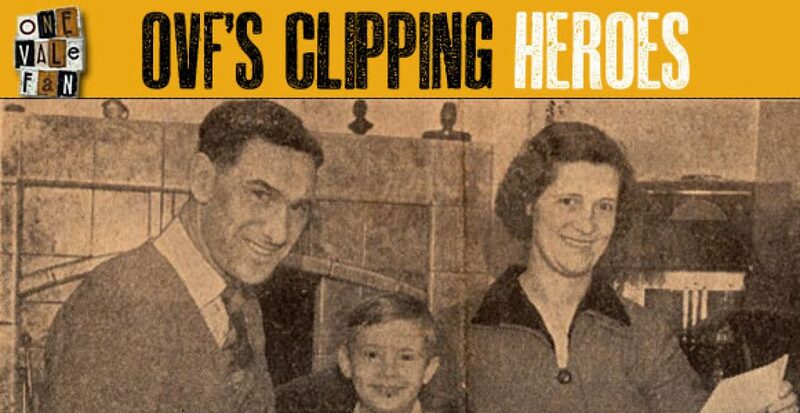 The following images or clippings are from the OVF Archives and document some of Tommy’s time at the club. 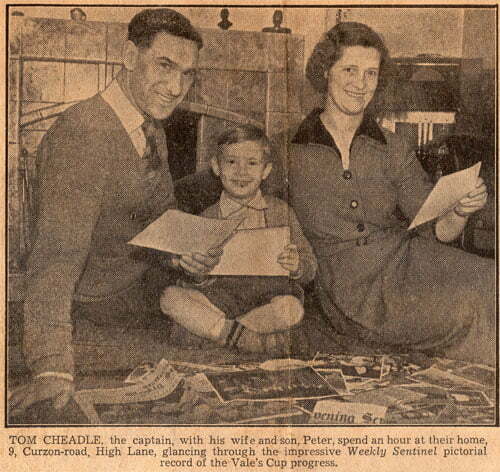 The legendary captain of the “Iron Curtain” side, Tommy Cheadle, a former centre-forward, was an ever-present during 1949-1950 and 1952-1953 and formed a formidable defensive partnership with Roy Sproson. 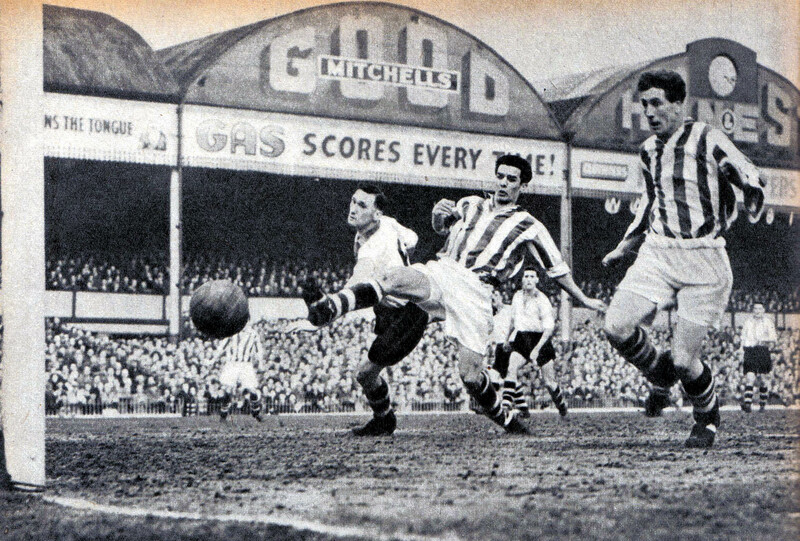 He signed as a professional in 1946 and made his debut later that year. 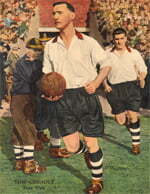 After an eleven year spell with Vale, he moved to Crewe as player-coach in 1957. 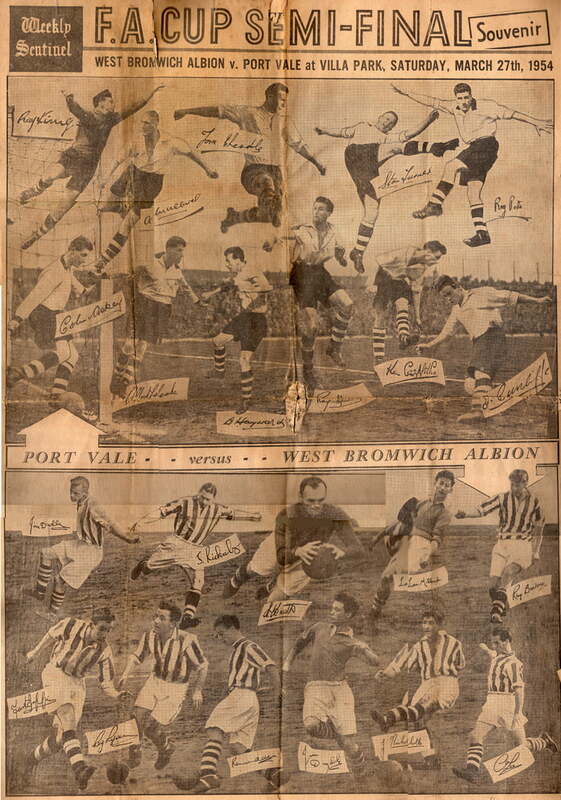 A photograph from the Sentinel’s special edition brought out to commemorate Port Vale’s FA Cup semi-final against West Brom. 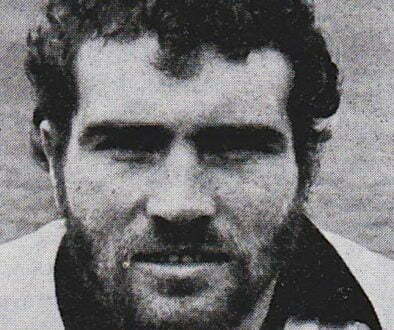 Tommy was captain of the Vale team that season. 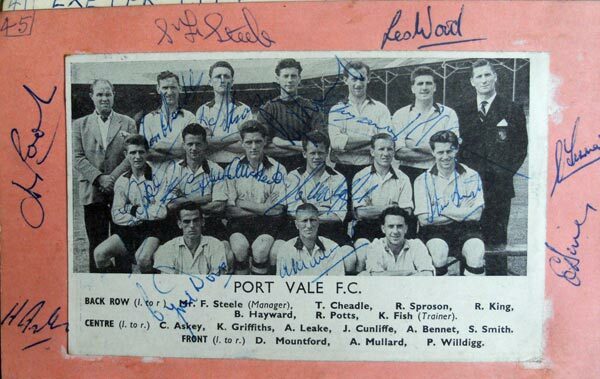 Tommy Cheadle’s signature (top row, second from left and next to manager Freddie Steele) from a team photo from 1953-54. 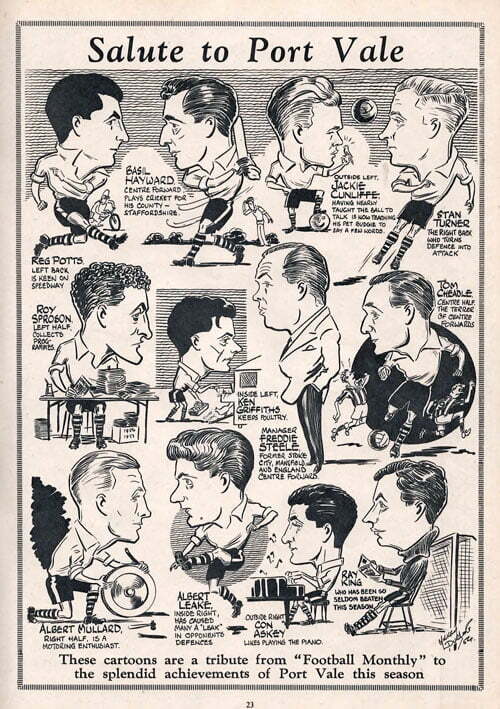 A salute to the 1953-54 side from Football Monthly magazine. 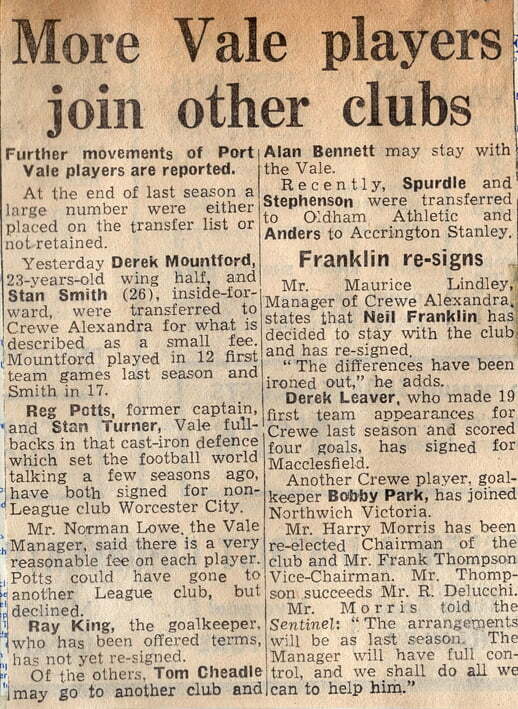 A 1957 press cutting predicting the exit of Cheadle – he would later join Crewe Alex that year.